FusionResto restaurant management software comes with an easy to use interface that lets you increase your employee efficiency. It offers you a single platform with the integration of POS and inventory management. The software is easy to use. Split Billing Multiple Modes of Payments. 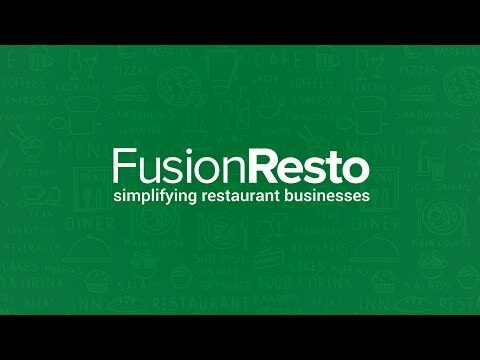 With FusionResto, getting started with the menu is as easy as importing items from Excel. It automatically displays the items with photographs on a graphical interface. Food Costing. Accurate food costing that increases profits. An operating restaurant needs to store hundreds of items with different computation patterns, minimum order quantity and supply lead-time. This makes it difficult to maintain a good inventory position in which you do not end up blocking a large chunk of your operating funds and at the same time do not run out of stock position. FusionResto has an innovative KOT printing mechanism that serves as a reliable communication channel between the wait staff and kitchen staff. The POS transaction posting, advances and payment are recorded in real time. It also helps you record and control expenses, purchase, inventory management and payroll in a centralized accounting system. Cash Book, BRS, Fund Flow and Cash Flow. With FusionResto, you can enter the recipe for each of the items selling in the F&B section. It also supports semi-finished items, which are used to produce the final items. Q. How to restrict users from viewing Restaurant Sale Display? Q. I started using the software in financial year 2009. Do I have to change the financial year in 2010 again? No, you don’t have to change the financial year or Fiscal Year with the change of years. You can keep working with the same data. FusionRetail6 stores year wise data together. You can also split (if required) data at a later date. The serial number of the invoice will start from the beginning when Fiscal Year begins. Q. How can I attach an .MDF file? It is recommended that you backup your database every day. Please note that at the time of server crash backup files are the main resources for recovery. However attaching .MDF files are always the second option. The steps to attach an .MDF file are. Specify the database name (as per your need) and select the appropriate MDF file and click on the Next button it will ask for your confirmation click on ‘yes’ it will attach the MDF file. Q. How do I Restore the FusionRetail 6 data from a backup file? Steps to restore FusionRetail 6 data from a backup file. Features, easy to use UI and low TAT to overcome issues. 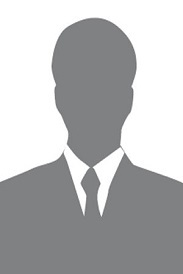 It helped in providing better customer service with fast and accurate billing. Payroll Management & Analytics is very helpful in easing the entire restaurant management. I wish their Restaurant Analytics feature could have been provided in the Standard plan as well. Its helpful for small restaurants too. Configurable to the extreme. Gives command and control to ur business. Efficient cost control. Pos billing extremely advanced. Development cycle should be more fast. Support should consider the history of business before recommending any solution.